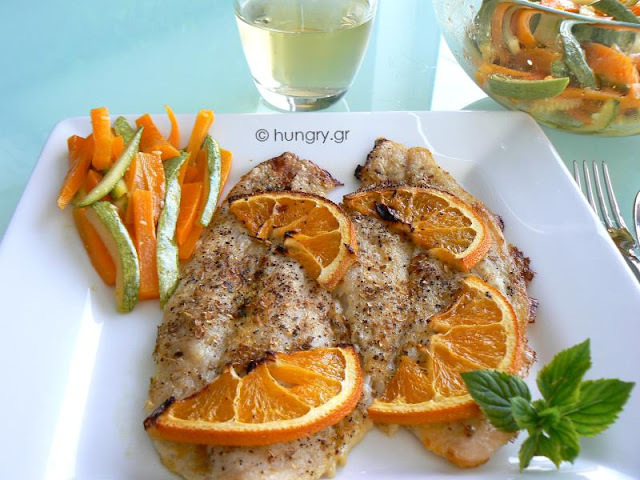 Today my suggestion is a tasty version of fillet fish with orange sauce and fragrant spices. A Low Carb plate, suitable for those who care about their diet. It is still, however, a delicious and hearty dish. 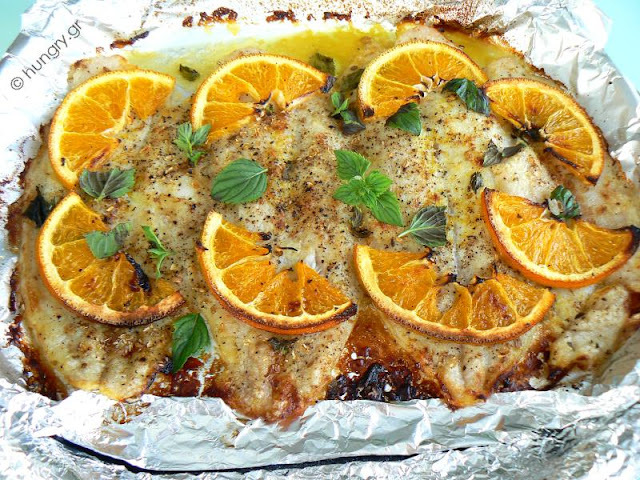 Brush a foil with a little olive oil and place it in a shallow baking pan. Pat dry the fillets with paper towels and put them in a row. Grease them with a brush and add the juice of half orange. 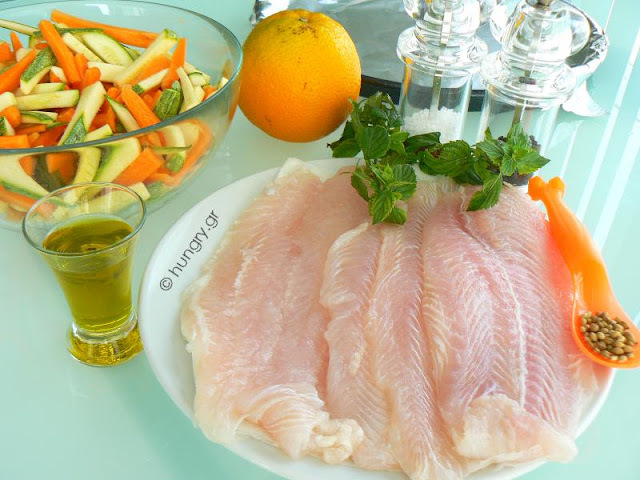 Salt and pepper, sprinkle with grated dry cilantro and spread a few parsley leaves or Louisa onto the fish. 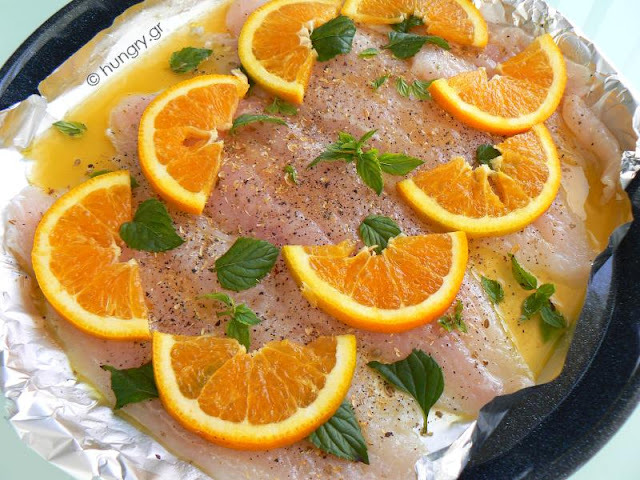 Cut the other half orange into thin slices and cover each fillet with half slices of each fillet. Bake at 200°C/ 400°F/ Gas 6 for 25'-30'. 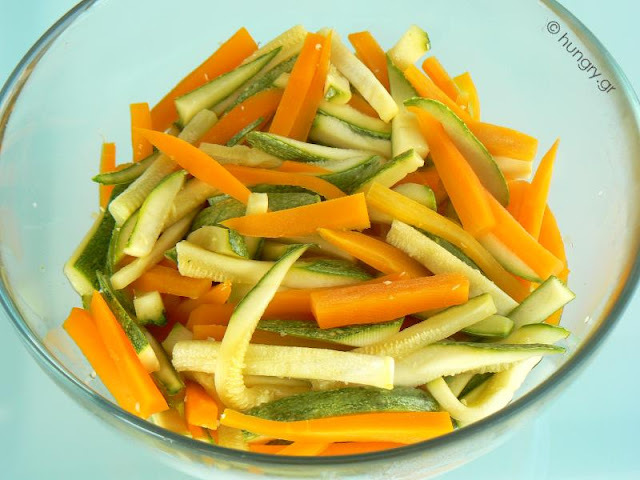 For a salad, which can accompany this food, cut 2 carrots & 2 zucchini into 5 cm/ 2″ long narrow sticks and cook for a few minutes to steam. Salt and pepper and sprinkle with a little olive oil and lemon. Do not turn the fish on the other side. Remove the pan from the oven and leave for a few minutes to cool slightly. Serve 2 fillets on each plate, garnish with a little salad and enjoy with a glass of cold, dry white wine. Crispy fillet of fresh fish, so delicious and so different from the fish we normally eat. 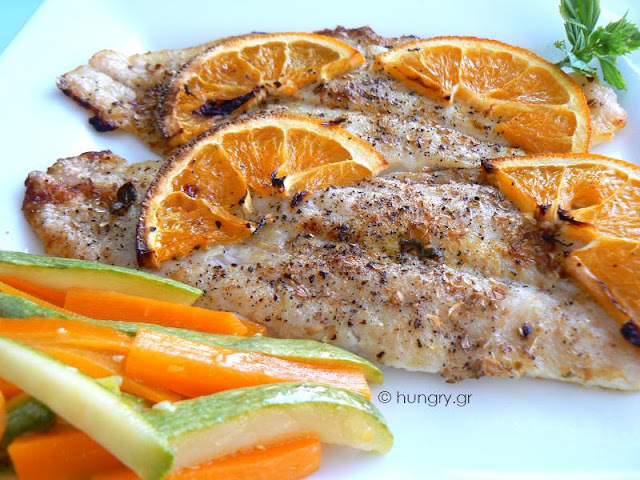 This grilled fish with a light salad, with fresh cooked vegetables are among the combinations many of us like. If you fall into this category, I suggest you try this delicious dish, with dominant flavors of lemon and rosemary! 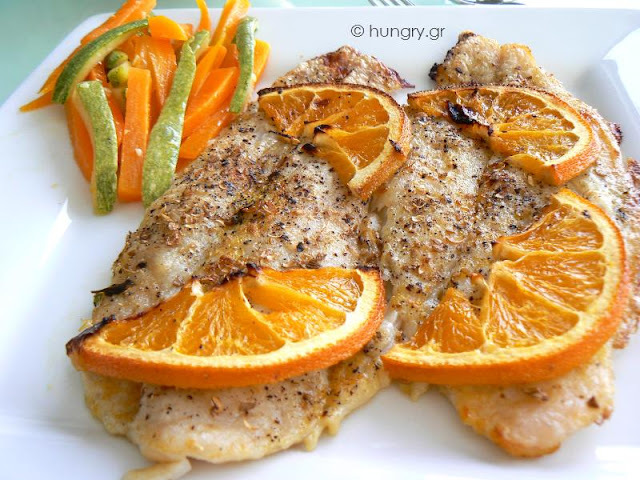 We enjoyed it with boiled broccoli and cauliflower, sprinkled with grated golden flaxseed and accompanied with a cold, Greek Retsina. Grilled salmon fillets. Delicious salmon fillets, filled with a mixture of aromatic herbs, onion, parsley, ginger and other spices, that give it a strong and balanced flavor. A tasty dish you can make for the people you love and care. A gourmet dish of high culinary standards! 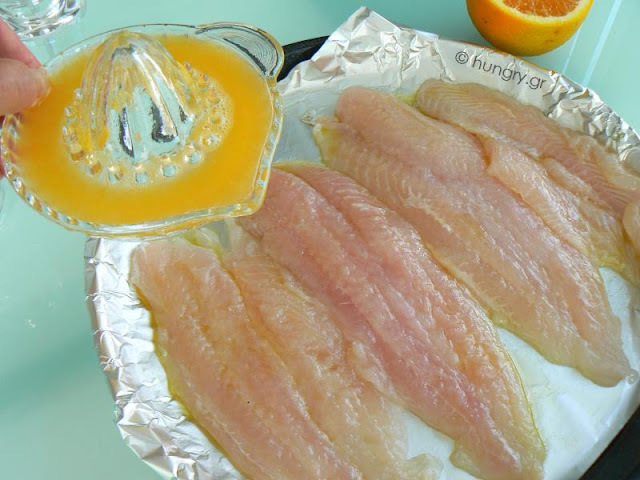 Perch fillets are delicious, soft flesh, fish without bones. That makes it easy for the very young or old. I make it always in the oven by covering it with vegetables or slices of tomato or pepper. 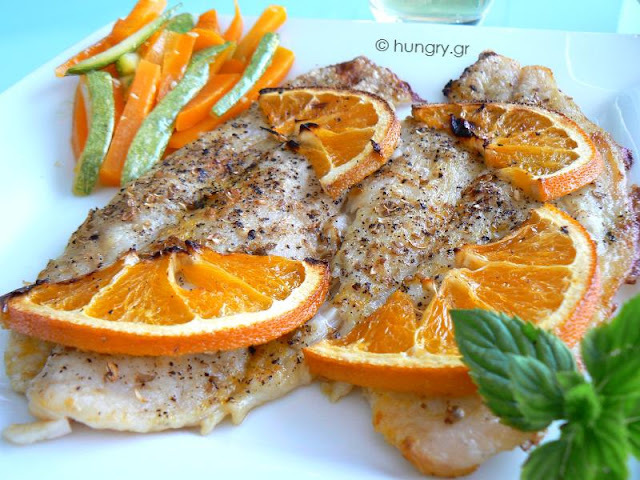 They give a colorful touch and lovely flavor in a relatively neutral flavor fish.